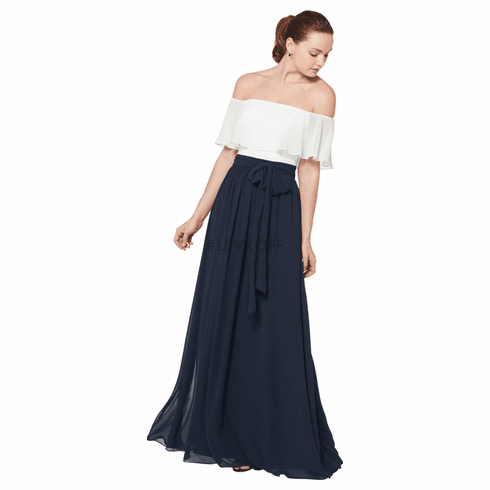 Description: Chiffon off the shoulder gown with a ruffle bodice. Self tie accents the natural waist. Soft gathers surround the A-line skirt. Available solid or two-tone.